If there is one thing no house or office would be complete without, is a good mirror. Mirrors are vital in every room in the house. In order to fully see every detail while applying makeup or shaving, a cool LED mirror can be appropriate. You can obviously see how it is going with your face while you applying makeup. 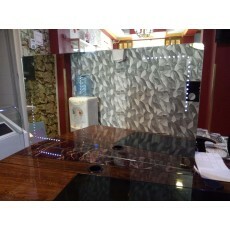 In many houses, LED mirrors are some of the most favorite decoration products. Once a mirror is placed and hanged in the bedroom, you will find it a great piece to your bedroom. To deal with different needs of men and women while grooming themselves, you can obtain rectangular LED mirror which is sold in different styles and sizes at affordable prices. The rectangular LED mirrors are durable and they do not rust. Petcarl Décor provides the finest selection of illuminated LED mirrors which are expertly crafted to high standards. The mirrors have a touch switch button which makes them unique.